All our products are brand new and are supplied through the NZ distribution channel. That means all items are genuine & come with local NZ warranties. We do not parallel import. 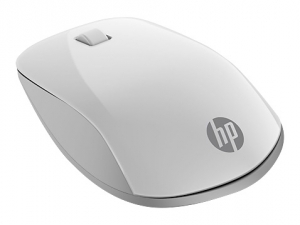 The HP Z5000 Bluetooth Mouse allows ease of navigation in multiple operating systems. Noticeably stylish, use with either hand, and simple to use with no cables or transceivers. • The broad flowing glossy cover of the HP Bluetooth Z5000 Mouse is complemented by contoured rubber side grips for ideal usability. • We value your ports. Save yours by using the Bluetooth connectivity. Simple pairing and you are ready to go - no dongle needed. • Versatile control within the most common and latest operating systems - Windows 10, Windows 8, Windows 7, Windows Vista and Windows XP as well as Mac OS X, Android OS and Chrome OS. We are a Hp Gold Partner. Have a technical question about this product? Purchased this item? Be the first to write a review. Stock Availability: Out of Stock! Your review will need to be approved by our team before being posted on our site. By submitting this review you agree your opinion is genuine and based on your own experience with this product.